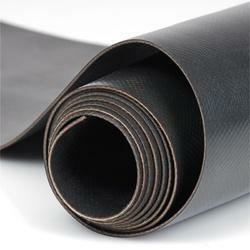 We offer a wide range of rubber sheets for general, industrial and mining applications. Our assortment includes vulcanized black and coloured rubber sheets for technical uses and industrial application with or without textile insertion, with smooth surfaces or with a canvas-type print on one or both sides. We are among the prominent players in the industry for manufacturing Neoprene/Chloroprene Rubber Sheets. Neoprene Sheets are resistant to acids, alkalies, open flame and also where food grade non toxic sheets are required. Our Neoprene Rubber Sheets are made from high quality material which can be used in various sectors like Aerospace, Automotive, Pharma, Chemical, Cement, Heavy Engineering, Mining, Fertilizers, etc. 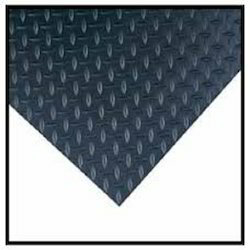 Our organisation is well known for providing its excellent quality Para Floating Rubber Sheets. These Floating Sheets are known for its low hardness. Our Floating Rubber Sheets are made from high quality material which can be used in various sectors like Aerospace, Automotive, Pharma, Chemical, Cement, Heavy Engineering, Mining, Fertilizers, etc. 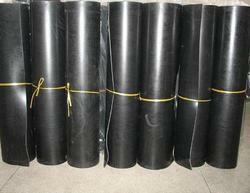 Rubber matting sheets as per I.S.15652 CF 1969 also confirming to B.S.S 921 of 1952 with taste certificate for 11 K.V. - 22 K.V. - 33 K.V. High resistant to temperature(+250° to - 80°). 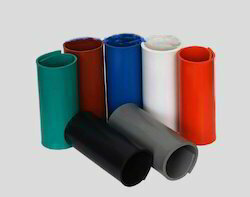 EPDM rubber (Ethylene Propylene Diene Monomer (M-class) rubber) a type of synthetic rubber, is an elastomer which is characterized by a wide range of applications. The E refers to ethylene, P to propylene, D to diene and M refers to its classification in ASTM standard D-1418. The M class includes rubbers having a saturated chain of the polymethylene type. Dienes currently used in the manufacture of EPDM rubbers are dicyclopentadiene (DCPD), ethylidene norbornene (ENB), and vinyl norbornene (VNB). 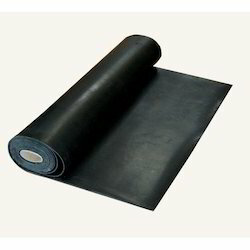 EPDM rubber is closely related to ethylene propylene rubber (ethylene propylene rubber is acopolymer of ethylene and propylene whereas EPDM rubber is a terpolymer of ethylene, propylene and a diene-component). Excellent resistant to ozon, oxygen, mineral, oil, synthetic hydraulic fluids, fuels, solvents & chemicals. 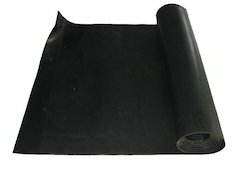 Viton rubber sheets are available in black colour. High resistant to temperature(+300° to - 20°). We are among the prominent players in the industry for manufacturing and exporting Silicone Rubber Sheets. By focussing on the changing needs of the customers, we are expertised in providing a vast array of Silicone Sheets to our customers. Our Silicone Rubber Sheets are made from high quality material which can be used in Pharma/ Foodgrade industry. We are among the prominent players in the industry for manufacturing and exporting Foodgrade Silicon Rubber Sheets. Our Silicon Rubber Sheets are made from high quality material which can be used in Pharma/ Foodgrade industry. Manufactured by using the finest grade materials, the Reinforced Rubber Sheets are known for their excellent performance. 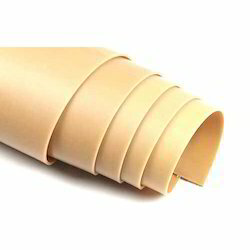 The reinforced Rubber Sheet is high in quality and used across a number of industries. Moreover, our Sheets are checked on varied parameters to ensure their flawlessness. These Sheets have excellent resistance to Pressure applied.